Your heads pulsating and your feeling slightly sensitive after last-nights antics. The ever so important question of where to rid this dreaded hungover, moves up the priority list and becomes more "low-key emergency" rather than a "future you problem". Sick back, nurse your head and mend those hangover blues the best remedies Newcastle has to offer. Some believe it’s an old wives tale and others swear by it. Back up your weekend bender with bubbles and brunch at Autumn Rooms. Their premium champagne pairs perfectly with buttermilk waffles, chai-infused mascarpone and plump, seasonal berries. Head to Restaurant Curvee at Peterson’s House and devour a bubbly breakfast of bacon, sautéed mushrooms, grilled vine tomatoes, seeded mustard rosti and eggs your way. The friendly team will even gift you with speciality Hunter Valley chocolates to take home … if they make it out the door. Sip champagne in true British style, accompanied by a decadent high tea at The Tea Collective or Coco Monde. It’s socially acceptable to drink before 10am if there are scones involved right? We’ve all croaked “egg and bacon McMuffin meal please” into a drive-through speaker the morning after a big one. Honestly, the rubbery egg and slightly stale English muffin is hardly a satisfying remedy. You’ll be back on top of your game after devouring The Edwards “legit” egg and bacon roll with rocket, spicy onion rings and aioli. Pop on your shades and face the world at The Hood. Their works roll featuring crispy bacon, a runny egg, hash brown, avocado, tomato, cheese, lettuce, relish and aioli is worth getting out of bed for. If you’re reluctant to brush your hair and make yourself look socially acceptable, drive by Hippo Espresso and order from their express window. You can grab a loaded Turkish roll with fried eggs, double bacon and tangy BBQ sauce. Double bacon means double the happiness to cure those hangover blues. When you’re feeling worse for wear, sometimes you just need comfort food. Drown your sorrows in maple syrup, you’ll feel better in no time. Table 1 Espresso talk a big pancake game and have the stacks to back it up. Their menu features confectionery favourites that will make you feel like a kid in a candy store. Pick from Mars Bar, Cherry Ripe, Crunchie, Bounty, KitKat and more. Mockingbird’s Red Velvet Pancakes are a crowd favourite on the Beaumont Street café’s menu. The vibrant stack is topped with fresh berries, lemon curd and a delicate cloud of Persian fairy floss. If you slept in past the breakfast menus deadline, don’t settle for a shaker bottle. 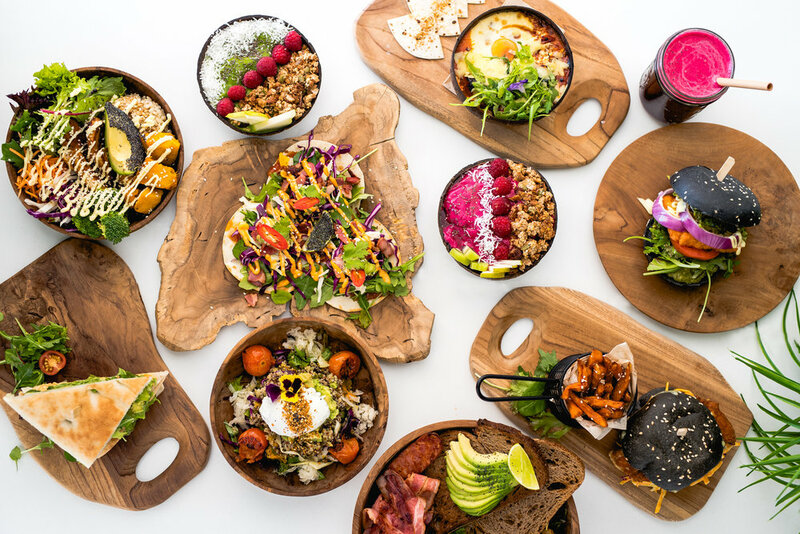 You can order waffles at The Greenroof and pick your sweet poison from their tantalising selection of spreads, toppers and ice-cream. Sure, the sports drink is backed by science and loaded with electrolytes, but it’s also pumped full of sugar. For a hydrating hit that nourishes your body, reach for nature’s energy drink. You can slurp down a refreshing juice from The Three Monkeys extensive menu. Recharge your batteries and order the Energiser Bunny. Freshly squeezed carrot, ginger and apple is guaranteed to detox your system. The Estabar team pride themselves on their wholesome ingredients, so you know your juice will be pumped full of the good stuff. Get some Summer Sunshine on a winter Monday with their apple, carrot, celery, turmeric, pineapple, lemon, ginger, orange and bee pollen cold press. With a name like Raw Energy, you know you’ll get a juice that will boost your vitality. The Liver Cleanser speaks for itself and with fresh ingredients like beetroot, pear, carrot and lemon, it’ll go down a treat. Reverse last night’s damage in one hit with a loaded bowl from Lulu’s Cafe. Their signature poke bowls are overflowing with fresh produce and crammed with mouth-watering flavours like sriracha, ginger and saffron. JD’s Fast ‘n’ Fresh might be new to the Newcastle food scene but they’re already taking the town’s loaded bowls game to the next level. 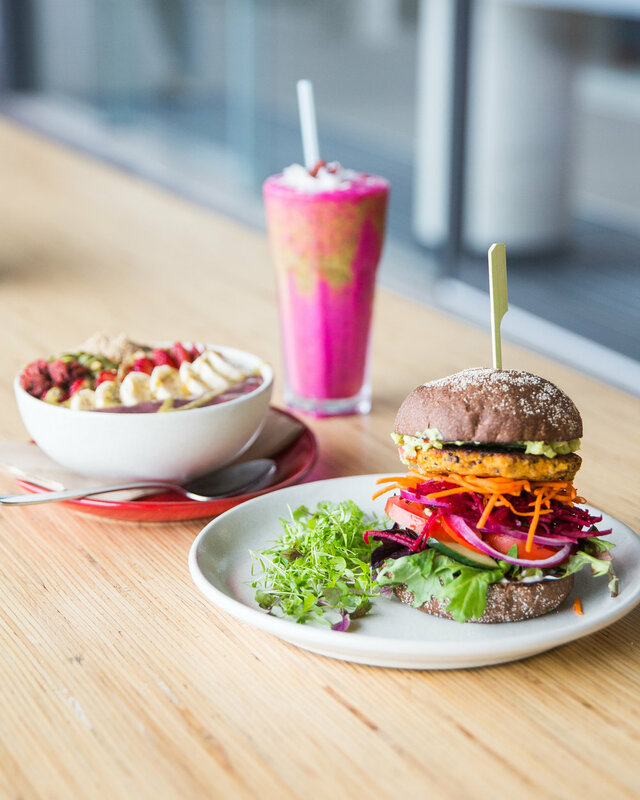 Taste the rainbow with their Tofu Buddha Bowl or refresh your taste buds with a fuchsia Pitaya bowl. The vibrant dishes will brighten your day and your Instagram feed. Kill two birds with one stone and get your caffeine and antioxidant hit in one. Pop into W.I.A Store and order their speciality espresso bowl. It features their secret acai blend, an espresso shot, banana, peanut butter and more. Let’s face it, when you wake up feeling dusty after a big night out, picking your hangover cure is no easy task. The Crave App takes the chore out of decision making through its simple discovery settings. Feel like something greasy? Switch on the burger option. Just need that smashed avo hit? We feel you… there’s a control for that too. Just keep on swiping until you find your heart’s desires. Thank us later!